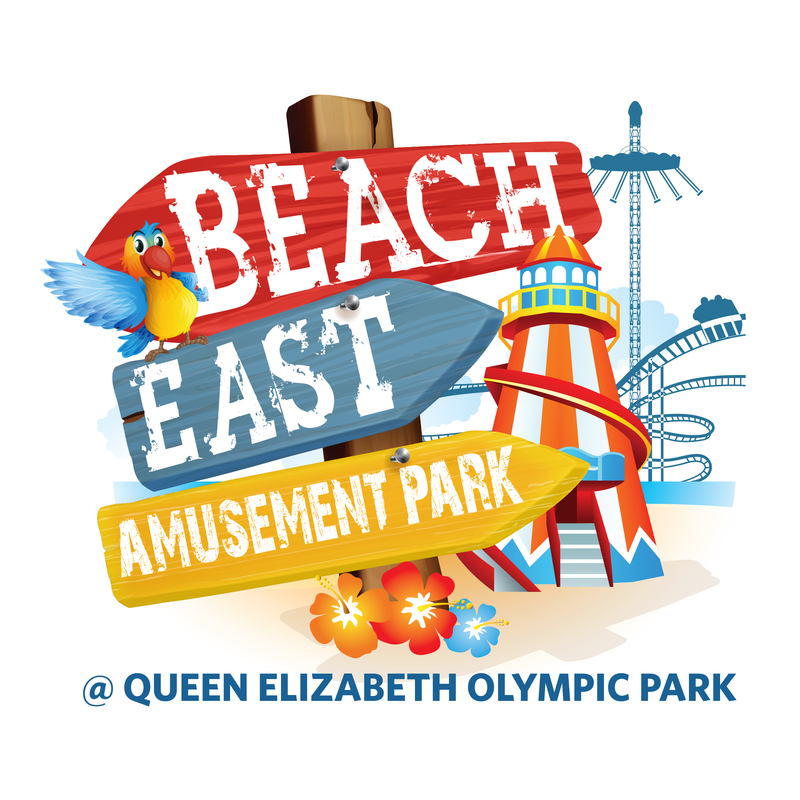 Located in Queen Elizabeth Olympic Park, next to the Aquatics Centre, BeachEast Amusement Park is your beach escape this summer without having to leave London and head for the coast. 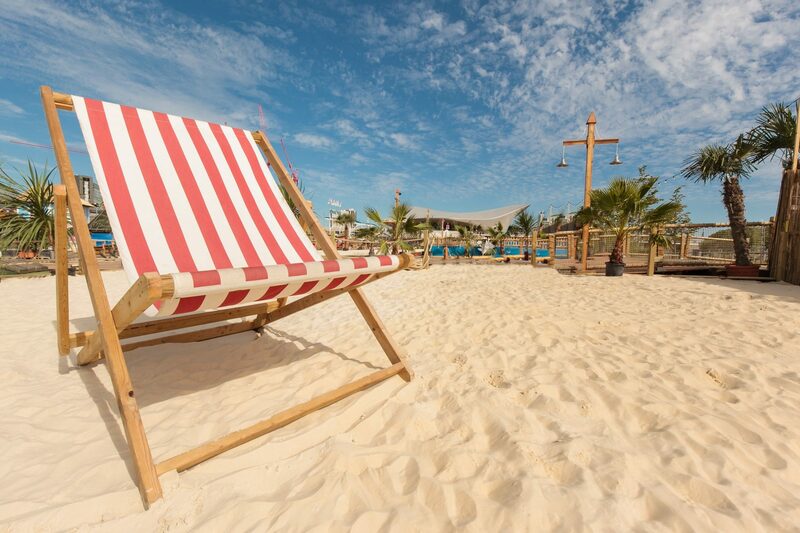 With nearly a thousand tonnes of pristine golden beach sand, giant paddling pool, double decked beach bar, thrilling rides for all ages, games and food…. there is something for everyone at BeachEast Amusement Park. You will be able to purchase an Unlimited* Ride Wristband which offers unlimited access to all the on-site facilities (beach, pool, beach bar) and Amusement Park attractions subject to session times and height restrictions. 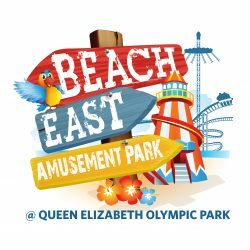 If you want to spend your day enjoying the sunshine on our free deckchairs while reading your favourite book or have fun with your family and friends around the beach and paddling pool, the Site Admission Wristband, subject to a £2 charge for guests aged 3 and over, is the perfect option for you. Site Access Wristband also offers the option of upgrading to an Unlimited* Ride Wristband, the £2 charge being deducted from the final price. 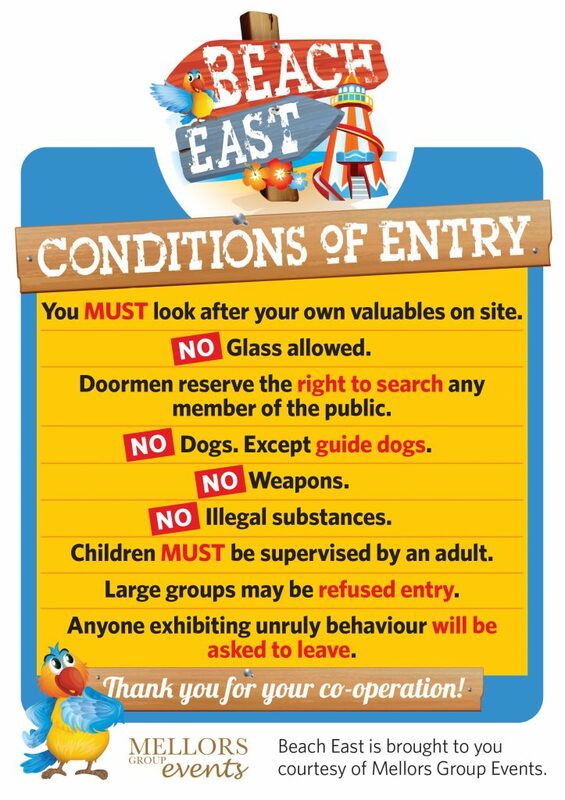 To ensure your safety and comfort on site, please be advised that we operate a MANDATORY BAG SEARCH at the entrance to the site. Every guest will be permitted to bring one bag per person to the event; we highly recommend avoiding bulky bags. 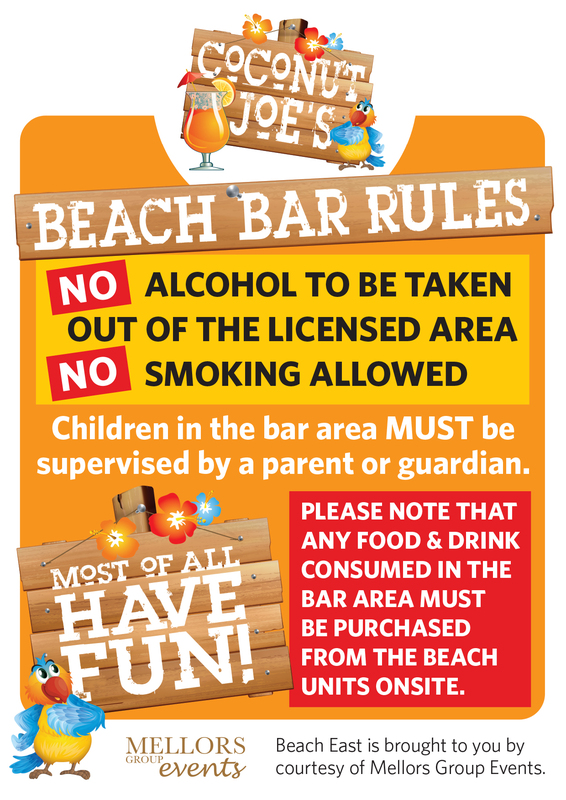 Due to Health & Safety reasons, picnics and food from outside will not be permitted on site. 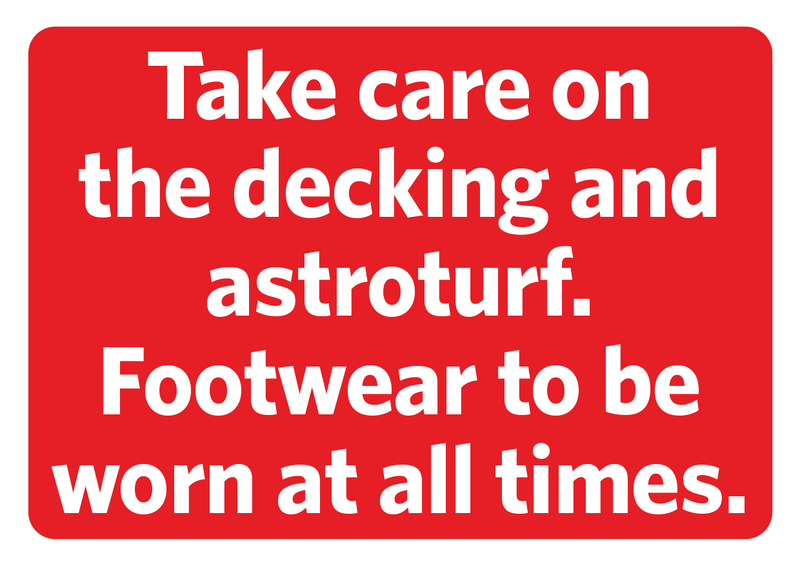 Not to worry though, as you can have your picnic in the designated areas throughout the Queen Elizabeth Olympic Park. For more info please click here. 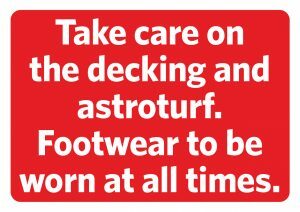 For your safety and security, shoes must be worn on the decking and astroturf at all times. Thank you for your cooperation! 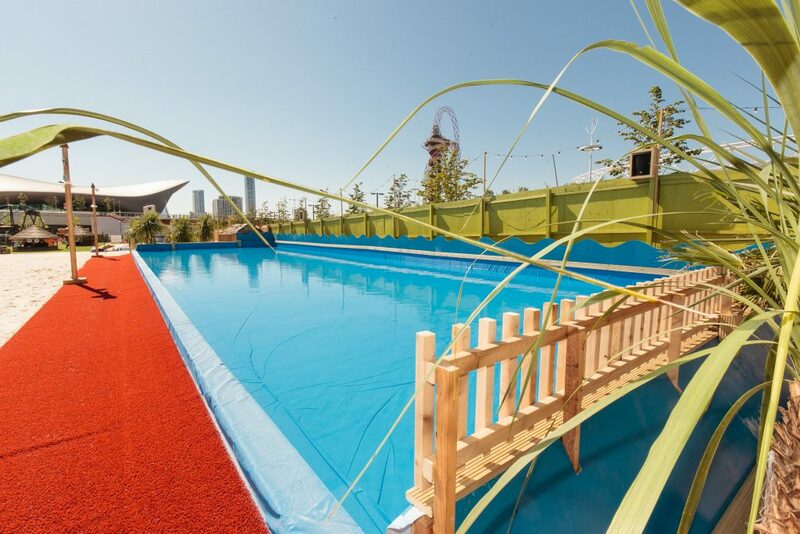 Nearly a thousand tonnes of pristine golden sand brought to the heart of Queen Elizabeth Olympic Park make BeachEast Amusement Park London’s premier “go to attraction” for the summer season. There is something for everyone to do on the beach from sunbathing, relaxing on a deckchair or enjoying an ice cream to keep cool. Or why not be part of the free activities organised by Active People Active Park @ QEOP. 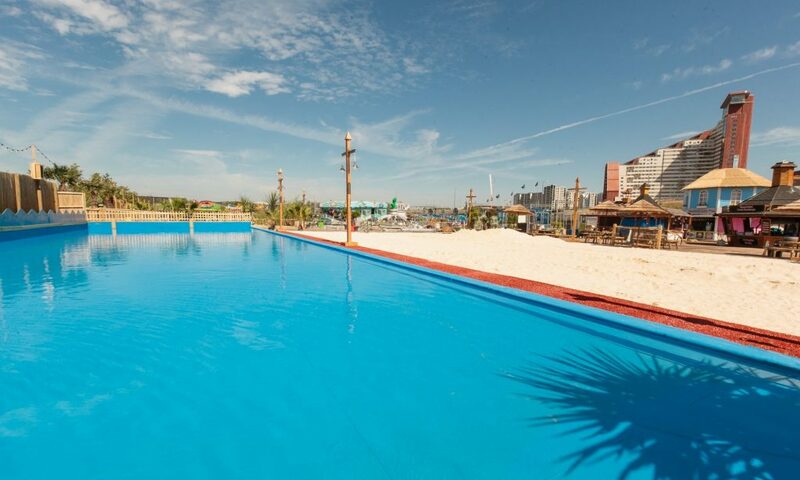 While you are enjoying the sun and reading your favourite book, your kids will definitely love splashing around in our giant paddling pool and making sand castles on the beach. And the good news? …..All this while you are in London! 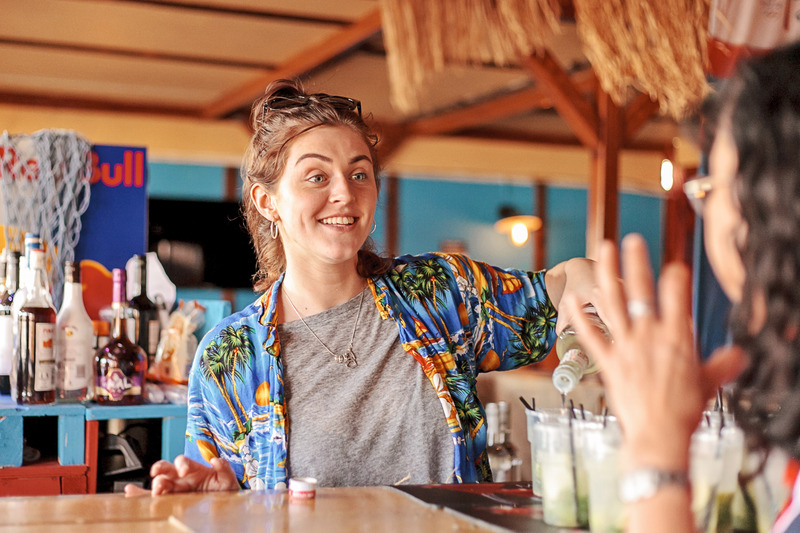 Good news for all the beach and sun lovers out there, the beach will be hosting a giant screen showing everything from movies to sports events, and you will be able to watch it from the comfort of your deckchair. 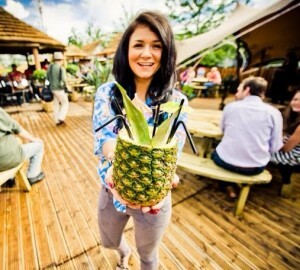 THE BAR TO BE SEEN IN THIS SUMMER. 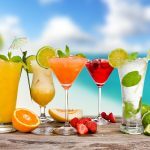 Th e Tropicana Beach Bar is the place to unwind and enjoy a well-deserved refreshing beach-themed cocktail served all day every day. 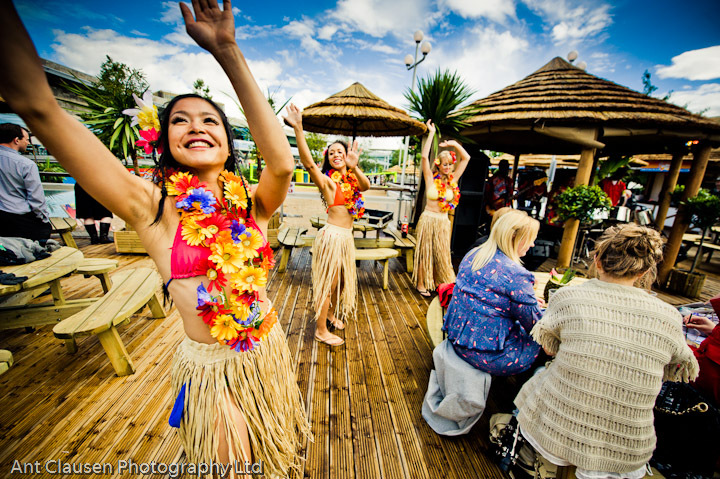 You could relax on our comfy deck chair overlooking the beach and watch the live entertainment performing on the band stage. With the rides and attractions for all ages a mere stone throw away, you have everything for your enjoyment close to hand. Enjoy the fun and excitement of an exotic holiday on your doorstep without the heavy suitcases, plane delays and inevitable fuss. 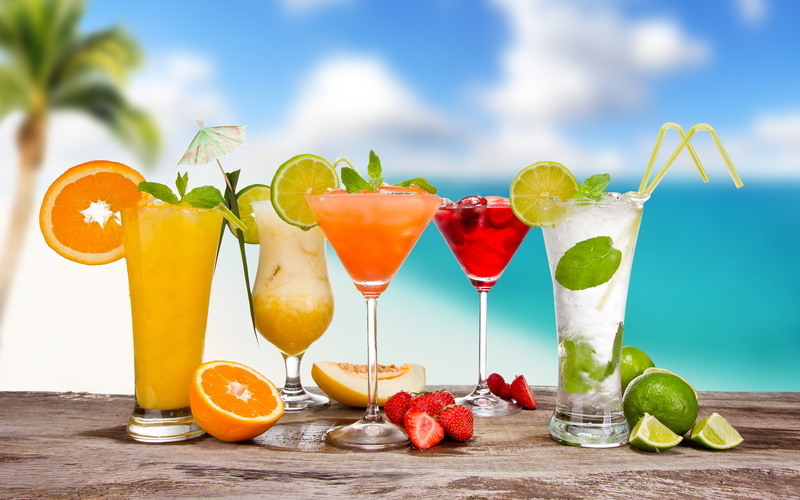 Our bar offers a wide selection of cocktails from Mojitos to Cosmopolitan and much more; there is an option for every cocktail lover out there. 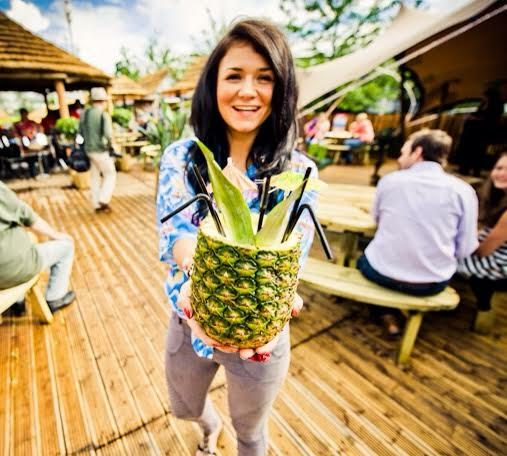 New for 2017: As part of our bar entertainment, there will be beach fitness classes on the private hire beach organised by MagnumOpus Events, with pre-sold tickets. To secure your place, please click here for tickets or contact info@magnumopusevents.london. 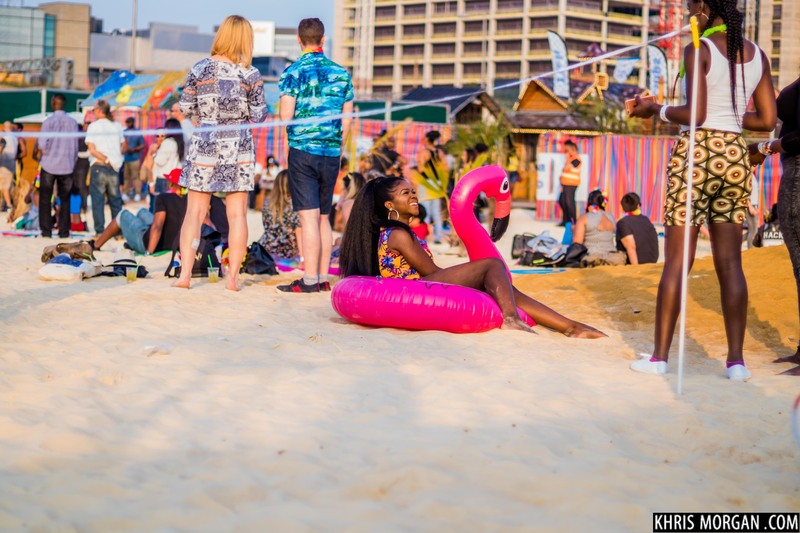 Join AfroBeach as the UK’s largest urban beach transforms into an African-Caribbean party with a full access amusement park across 1,000 tonnes of sand in Queen Elizabeth Olympic Park (Stratford). 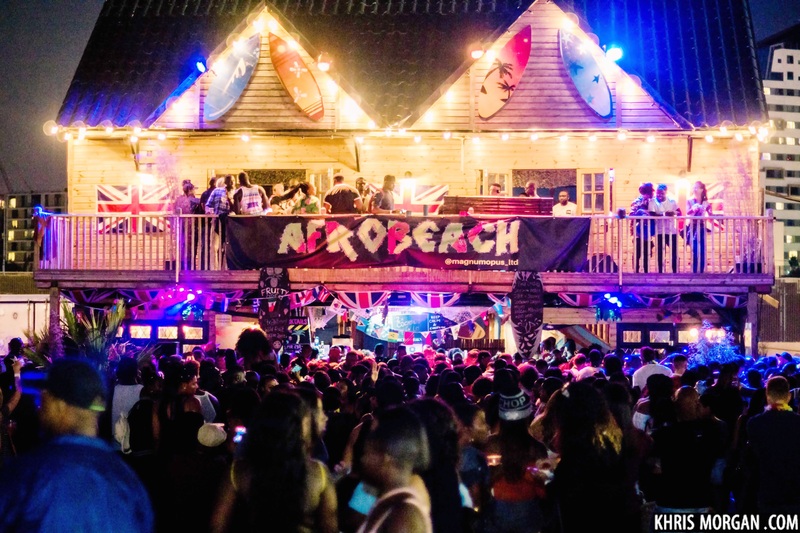 For one day only, AfroBeach host an official BeachEast takeover with an unmissable closing party across the whole site – celebrating the culture, music and food of Africa and the Caribbean. 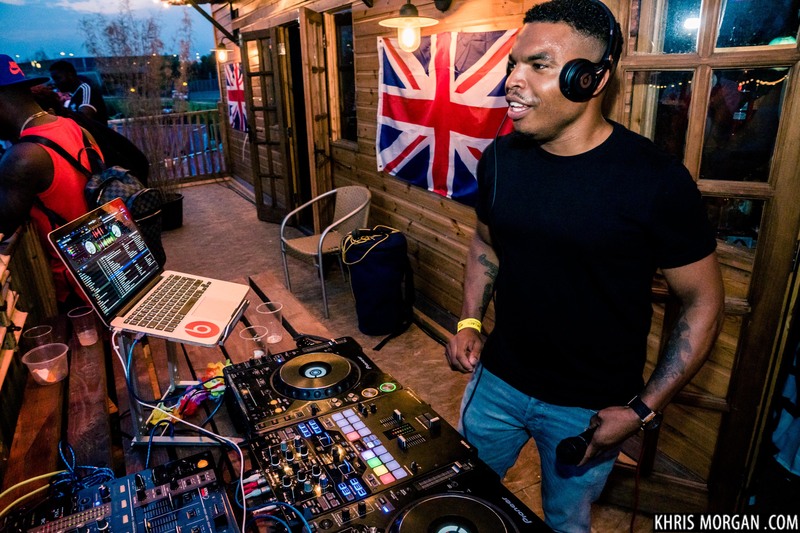 Come and enjoy authentic cuisine, fully stocked bars, fusion music and an array of arts, crafts, games and activities on London’s favourite urban beach.